Tales from the Real OC (Really! ): FATED E-Sampler Available Now! With the FATED release still a little over two months away (in stores 05.22.12! ), you can still get a sneak-peek at selected scenes via this awesome E-Sampler! All you have to do to start reading is click HERE! 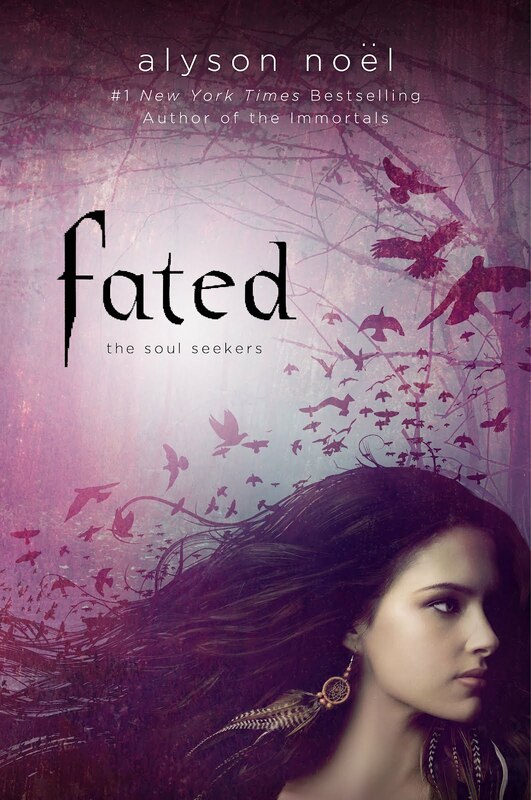 Hello Alyson, I was just wondering will you be doing a blog tour for Fated ? Luc - Thanks so much for the kind words and support! MizMaliciouz - Yes, I'll be doing interviews on several blogs in the coming weeks! Please feel free to contact my assistant, Jeanette, at jeanette@alysonnoel.com to request a blog interview. Have a great weekend! Hey Alyson, I'm turning 14 soon and I'm writing my own book. I'm really inspired by your Immortal series and am asking for some tips. Im sort of stuck on what to write cause I am halfway through it and only on pg 30!!!!!!! Hi TouchInTheHeart - I have a special section on my website with advice for aspiring authors here: http://www.alysonnoel.com/soul-seekers/faq.php. Hope this helps! Wishing you all the best with your writing!